XPERCA guides, structures and supports the day-to-day management process for officers and board members. 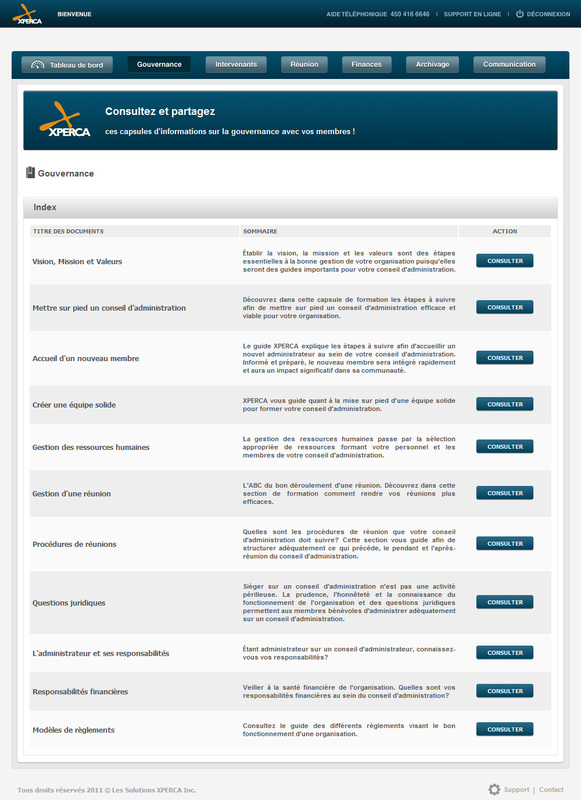 XPERCA offers tailored management tools to all organizations that have boards of directors. 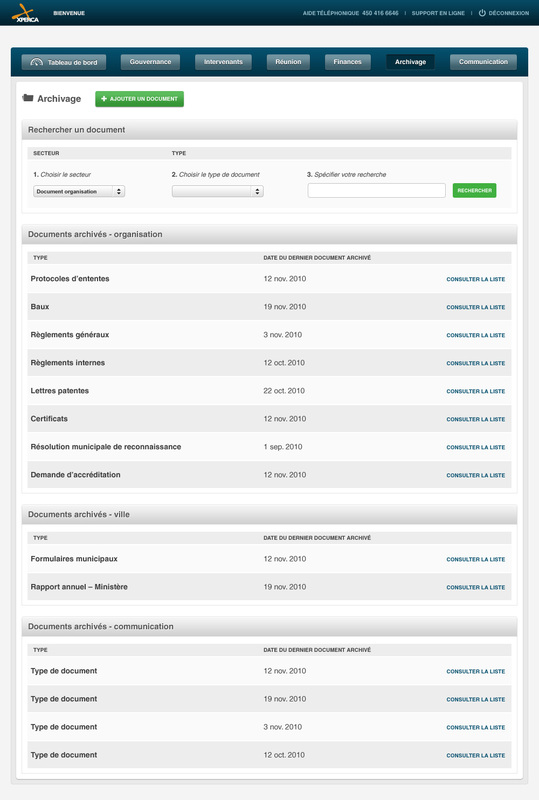 Database of your organization’s stakeholders. Guides and structures meeting preparations, the meeting itself, and meeting follow-up. 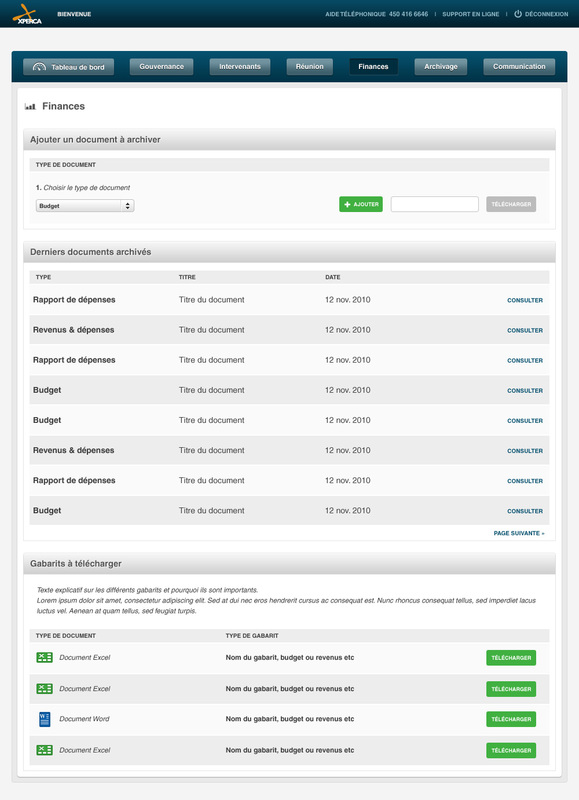 Management of your revenues, expenditures, payment tracking and budget. XPERCA newsletter and communications with your members and stakeholders. Secures your organization’s information and administrative data. 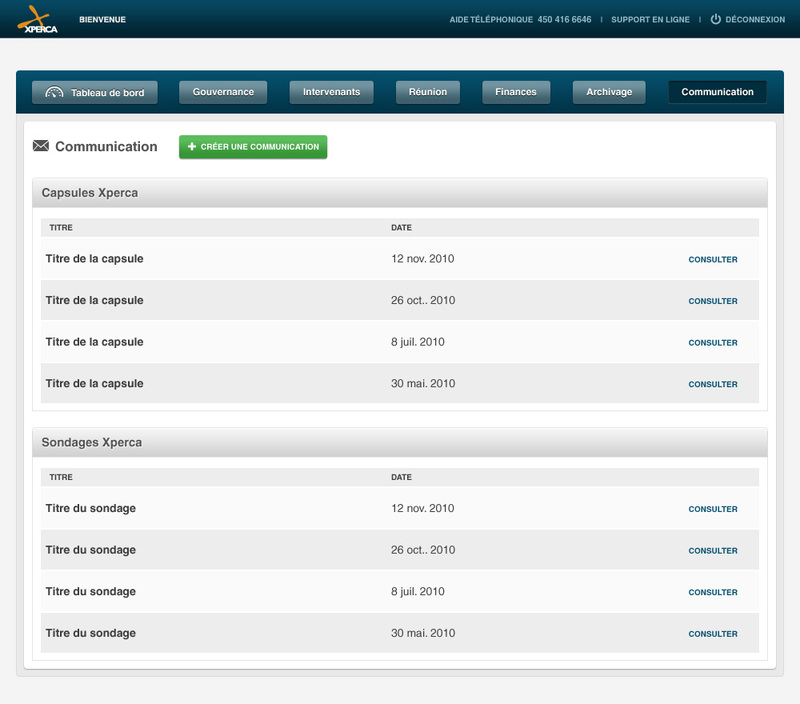 Guide users by informing them and structuring their actions. 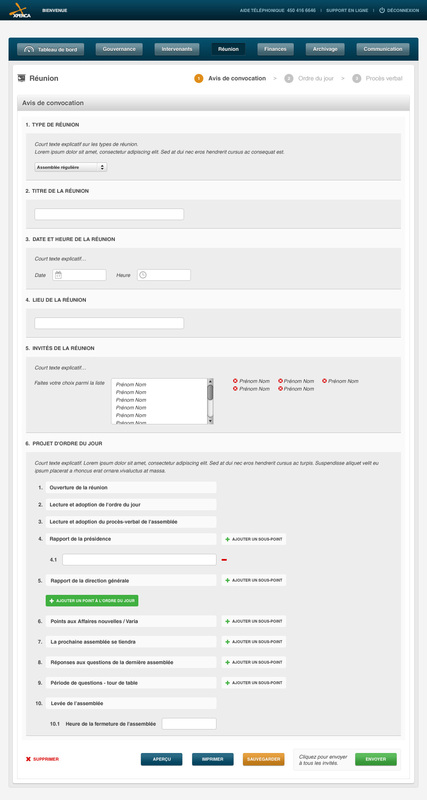 Create and send out a notice of meeting, step by step. Quickly add and change the draft agenda. Creating the minutes has never been this easy. Back up and archive meeting data. 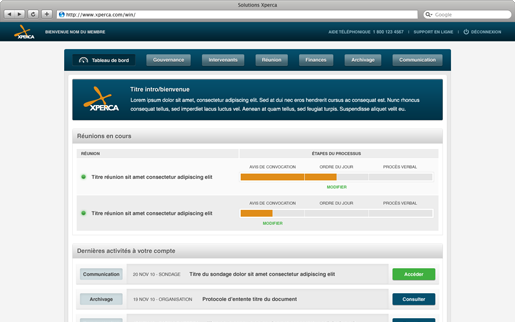 of your organization with XPERCA! © Les Solutions Xperca Inc. All rights reserved.